The spring and summer period has been a very busy one for James Watchorn (project gamekeeper) and Richard Barnes (senior advisor, Kings Crops) as the establishment of a range of innovative habitat features continues. Kings’ support of the stewardship crops at the Allerton Project is now in its third year and the team are starting to reap the rewards of a varied and beneficial crop mix. 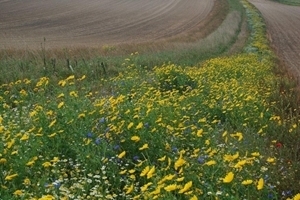 The combination of annual, biennial and perennial crops now meets the needs of a host of species, ranging from invertebrates through to a wide range of farmland birds. Integrating different crops within each plot site is enabling the management workload to be spread and, most importantly, is providing year-round continuity of habitat across the farm. There has been a broad range of visitors to the farm over the summer months and the crops provide a fantastic backdrop and highlight the benefits of game management. The different mixes allow the discussion to be relevant and informative regardless of the group’s background or initial key interests. Of particular note have been the autumn-sown wild bird seed mixtures and a demonstration of perennial wild flower, nectar flower and holding crops. The autumn-sown wild bird seed mix provides essential brood-rearing and insect-rich cover from early April to July as well as food through the following winter. This complements the perennial mixtures, which offer the continuity of cover and insect availability all year round. 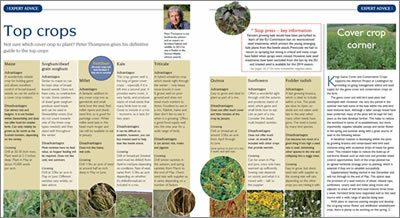 Get your essential FREE guide to which game cover crops to plant.